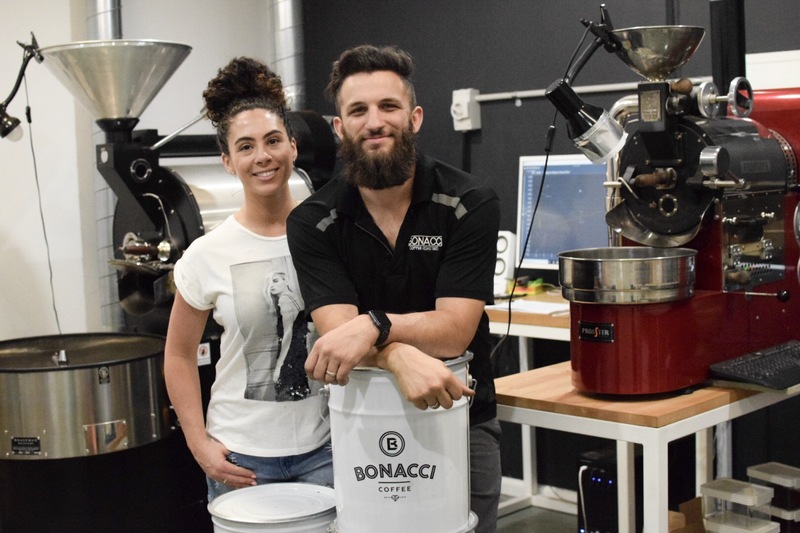 Meet No-BS Coffee newbie Bonacci Coffee whose feature this month fittingly coincides with their fresh new look. At the helm is a husband and wife team – Brendon Bonacci as head roaster and wife Leah as green bean buyer. 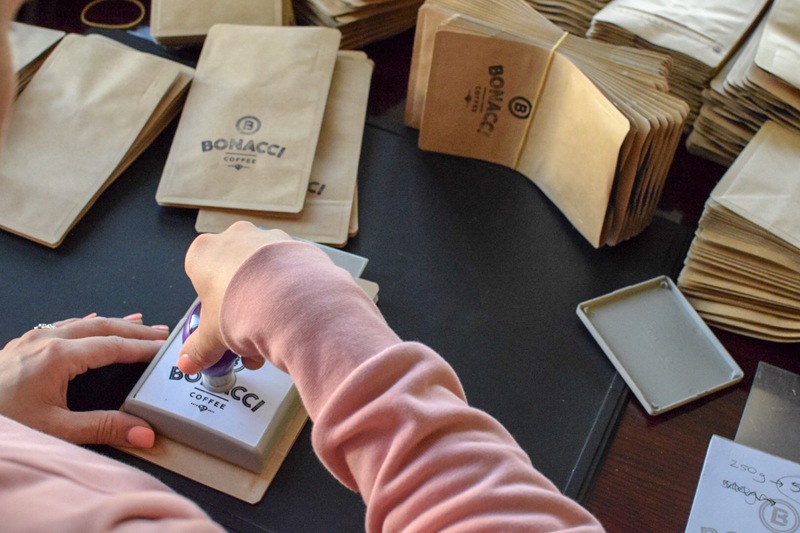 They started Bonacci to get good quality coffees into the hands of everyday people, as they staunchly believe that access to high quality coffee should not be restricted to visits to specialty cafes. And so they set about democratising superb coffee. Brendon’s passion for coffee piqued when he found it difficult to get the coffee flavour he wanted, so turned to backyard roasting. Crowned as a coffee nerd by family and friends, he began business as a coffee technician. 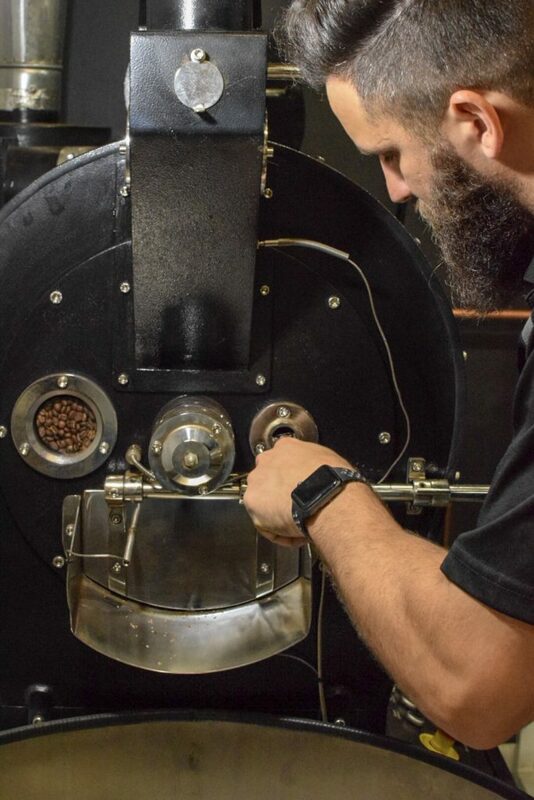 Soon after, his small roasting operation was bursting at the seams so they made the call to invest in setting up a proper roasting facility. 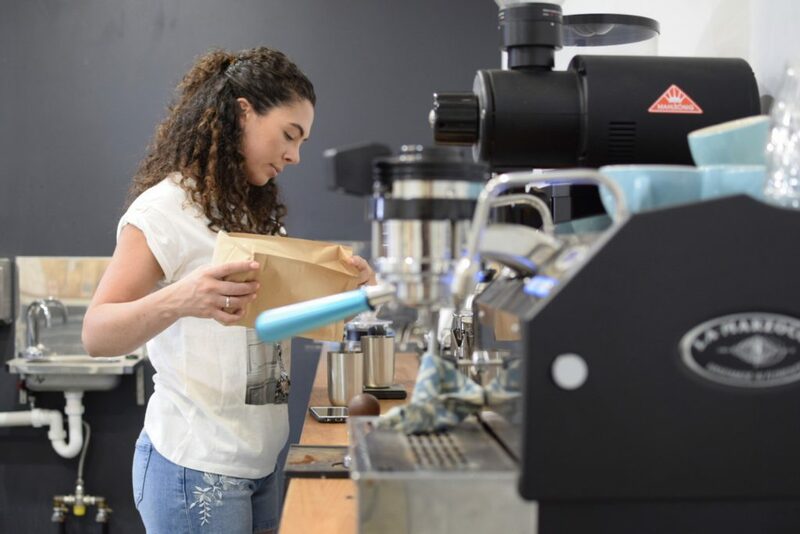 To maintain their high quality coffee creations, they cup and sample every single roast to ensure that their customers are consistently receiving amazing coffee to keep their taste buds on their toes, and we hope that’s how your taste buds are reacting to their goods! 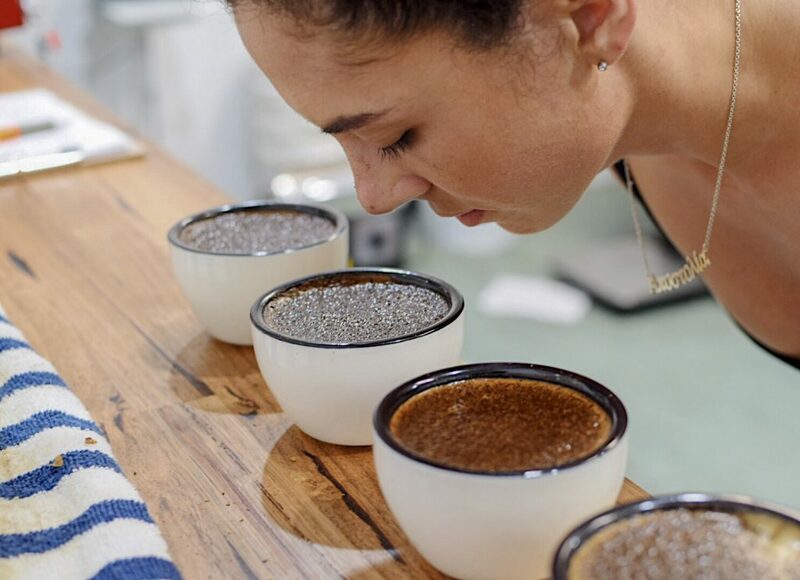 You’re tasting their Pilot Blend. Brendon admits that this was selfishly designed to satisfy his own palate, “I am not a subscriber of high amounts of acidity through espresso, I’m all about sweetness.” Accordingly, this is a clean, full bodied coffee with intense sweetness of toffee, caramel and hazelnuts, followed by a clean blueberry finish which is sure to satisfy even the most seasoned of espresso drinkers. 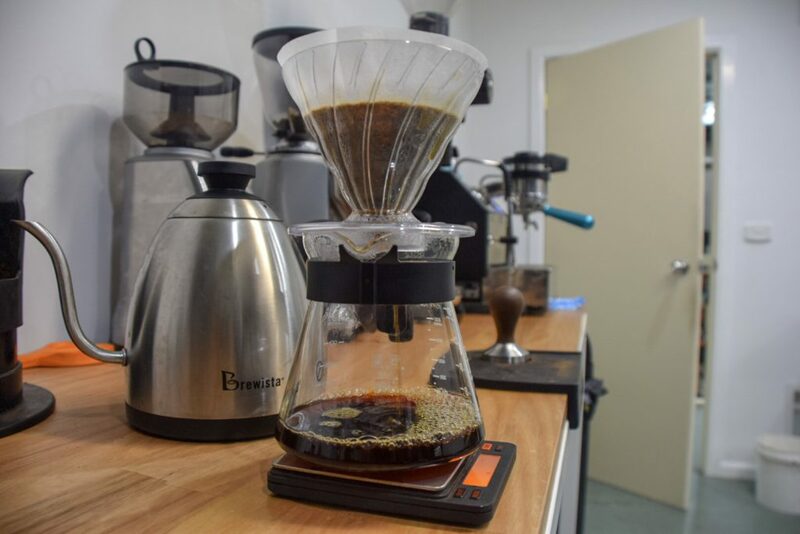 Explorer’s, you’re also tasting their Ethiopian Konga Sede. This offers a clean, syrupy body tasting of tropical punch, raspberry, papaya, pineapple, nectar and heavy sugars. You’re tasting their Costa Rica Tirra Estate. This is a rich, sweet, full bodied coffee with upfront raspberry sangria flavour with notes of cherry and molasses. This is a super exotic coffee and Brendon insists that there actually isn’t enough space on this page to describe the amount of complexity this coffee is offering! Explorers you’re also tasting their Colombia Elber Trujillo. This cup is super clean, with crisp orange acidity, notes of chocolate and nutmeg with a complex honey sweetness. 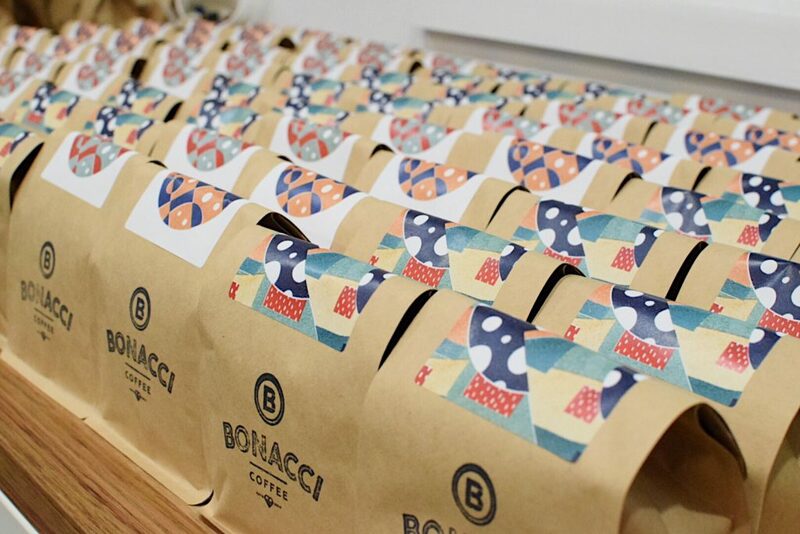 Like what you’re tasting by Bonacci Coffee this month? Head on over to their web store here. Keep scrolling to read about Bonacci’s epic, not to be missed giveaway!
! !EPIC GIVEAWAY ALERT!! – coffee lovers, don’t miss this! 1. 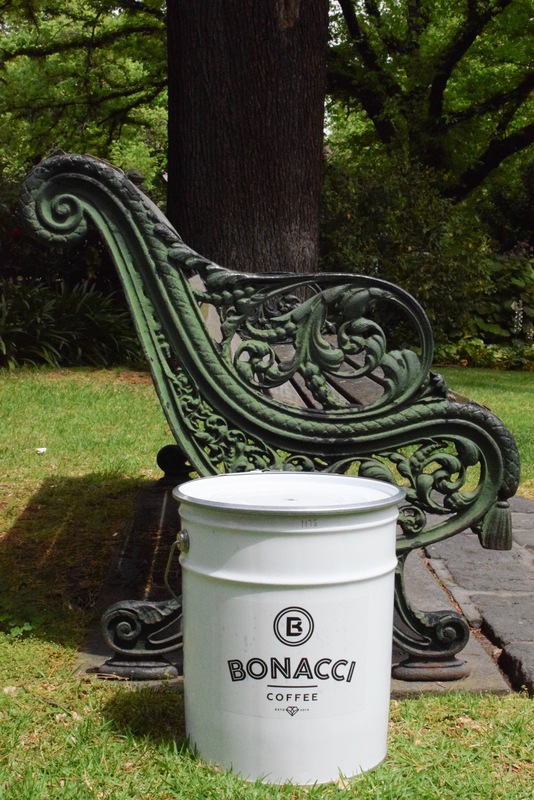 Follow @bonaccicoffee on Instagram. 2. Take a creative photo with your Bonacci Coffee delivery from us.